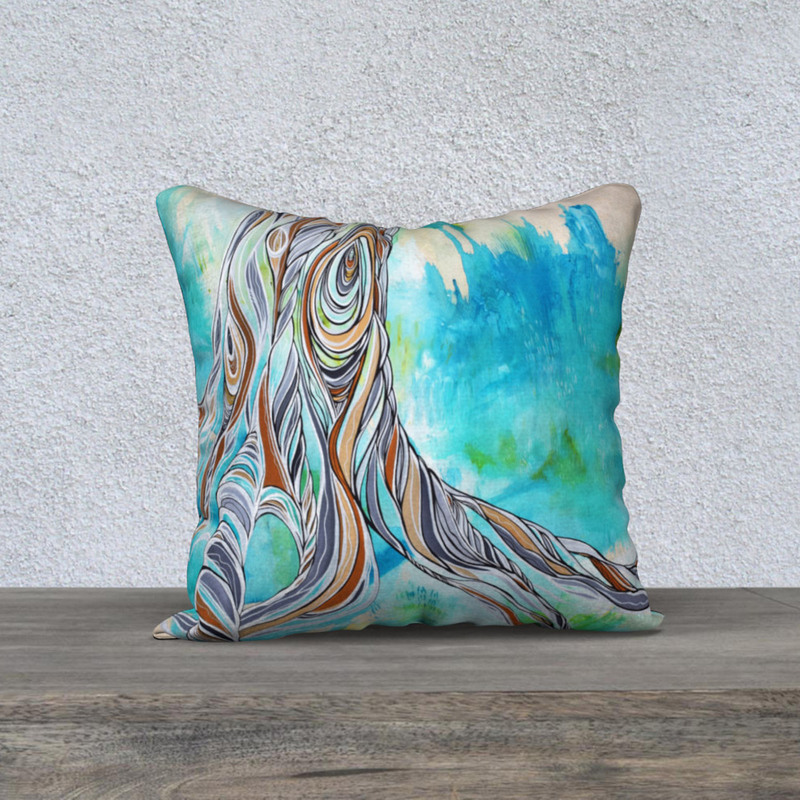 A gorgeous pillow case featuring an image from my original painting ‘Come Together’. The fabric is printed with my image making it durable, image will not rub off. Printed on canvas fabric and double sided for a modern look. Printed with fade resistant solvent-free inks. Zipper Closer. Manufactured in Montreal, Canada. Wonderful quality! Ships as pillow case only. Product will be shipped directly to you from Montreal.